About 8 hours before you plan on eating, mix the salt, pepper, and cumin and rub it onto the beef. Allow to sit at room temperature for two hours. Put the beef into the oven at 215°F and cook for about 6 hours until tender and cooked through. ABOUT THE BRISKET: This dry cooking method will not produce the super tender falling-apart brisket you are familiar with at a BBQ spot. However, as long as your brisket has a nice thick fat layer on top, it should produce a tender enough, juicy piece of meat that can be sliced nicely and has a decent smoke flavor from the salt. So make sure your brisket has that fat layer and make sure you cook it fat side up! 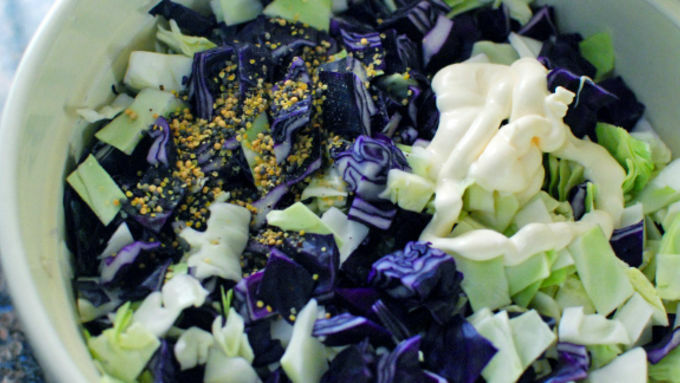 Make the slaw: Chop the cabbage and mix with the rest of the slaw ingredients. Allow to marinate for at least a half hour before serving. 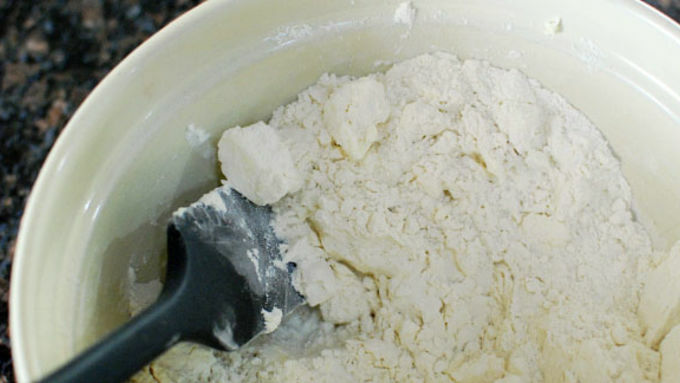 Make the biscuits: Chop the butter into small cubes and freeze for 20 minutes. Mix the dry ingredients. Stir in the butter. Stir in the buttermilk slowly, only adding as much as needed to bring the dough together. 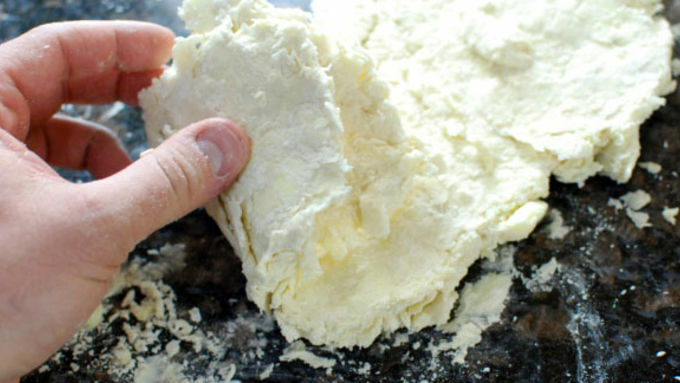 Roll out the dough into a rectangle, then fold it like a wallet. Roll this out again and repeat until you have done this three times. This will help add to that nice flaky texture we are looking for. Cut out the biscuit rounds, making them small and slider-sized. Bake at 450°F for about 10 minutes. 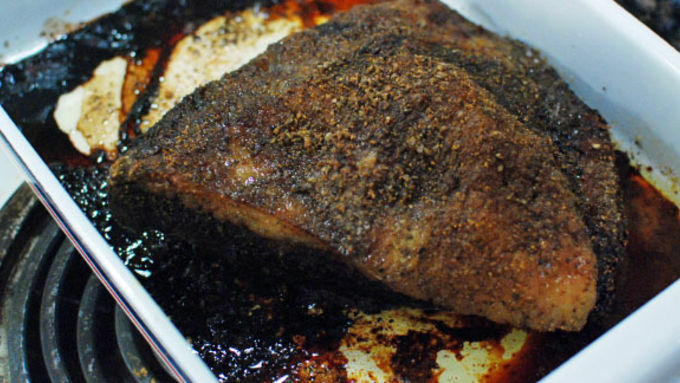 To serve, slice the brisket into thin slices against the grain. Cut the biscuits in half and spread on some BBQ sauce. Top with the meat, slaw, and pickles and eat! 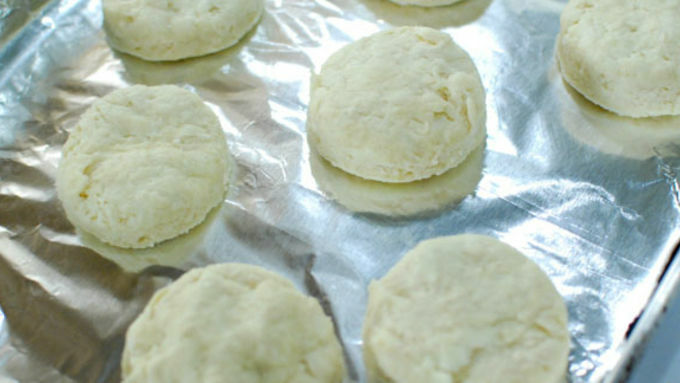 *Note: These homemade biscuits make this recipe taste like its restaurant inspiration, but if you're short on time, use Pillsbury™ refrigerated biscuits instead. I was asked by Team Tablespoon to make something that was inspired by one of my favorite food places and I settled on one of my favorite foods – BBQ. When thinking of some popular BBQ joints there are plenty of familiar names like Franklin Barbecue, Pappy’s Smokehouse, and Dinosaur Bar-B-Que, that make delicious food and could provide plenty of inspiration. Unfortunately though, I haven't been to any of these places yet. But that's not to say I don't have a fave BBQ spot! My personal fave is a place in my neighborhood called Sweet Cheeks Q. Sweet Cheeks is hands down the best BBQ I have ever tasted, but the real surprise there is the biscuits. These biscuits are tender, moist, flaky and pretty much melt in your mouth, which is admittedly an odd thing to say about a biscuit. When I get home from Sweet Cheeks, I always make a sandwich with my leftover meat and biscuit from dinner. 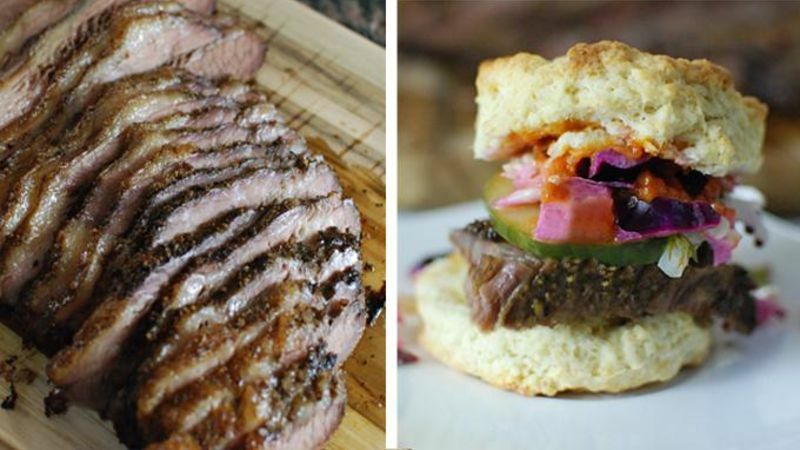 So, I decided to make these sandwiches as a fun slider recipe for you to try at home! 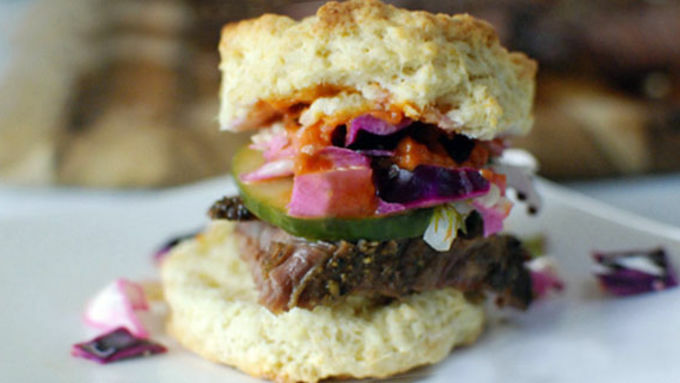 Juicy, tender briscuit, topped with tangy slaw. This sandwich is where it’s at. Just enough smoke combined with acid and sweetness make it a winner.